With this extension, you will get an essentially optimized ordering list that includes lots of advanced features. 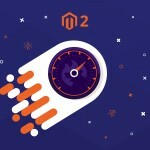 The functionality of the Ecomwise B2B Orderlist Magento 2 extension is vital since it enhances default processes making your ecommerce website more user-friendly and B2B-oriented. So, how does the optimized order list view look and feel? The optimized order list view is a kind of a backend grid that is displayed on the frontend with improved design. It means that you get only necessary information about products and can perform mass actions or rather only one but vital action – add multiple products to cart in one click. First of all, you select a product you’d like to buy. Next, you enter the desired quantity. Repeat the procedure with all the necessary items and hit the “Add to Cart” button only once – now, all selected products are in the cart in the quantity you’ve selected. The idea behind the module is brilliant! 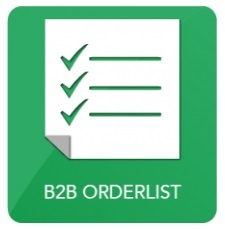 In addition to the optimized B2B order list, you will get specific category permissions. Besides, the extension introduces a great opportunity to force customers to login to their B2B accounts. Otherwise, the B2B website will not be displayed. After building a customer specific catalog, you will be able to display products to selected customer groups only. Thus, only your business clients will see special conditions, while B2C customers will still be able to purchase the same products but from your B2C website and with other conditions. Note that Order list view can be can be enabled/disabled for certain categories. Besides, the Ecomwise B2B Orderlist for Magento 2 and 1 introduces a great opportunity to enable/disable order list view on certain categories. Alternatively, the order list view can be displayed as a default view everywhere. Furthermore, the Ecomwise B2B Orderlist Magento 2 extension allows you to set the default amount of products for the order list view! And it is possible to display the extension on a search page. After installing the Ecomwise B2B Orderlist for Magento 2 or 1, your ecommerce storefront will get more professional appearance and functionality. You will impress business clients with advanced usability and overall user-friendliness of your website. All the necessary products can be selected and added to cart in bulk right from a catalog page. In some cases, this improvement will also suit B2C websites, so don’t miss your chance to enhance the default Magento 2 or 1 functionality with the top-notch product by Ecomwise. If you are wondering how much the module costs, its price tag is €199. 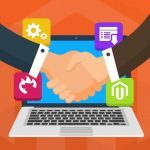 Since the Magento 2 solution is under development, the price will be available as soon as it will be released.